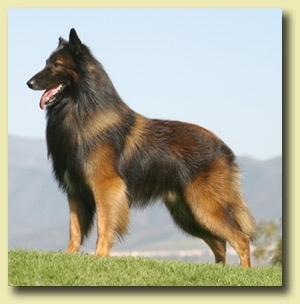 To quote the BTCSC's parent club, the American Belgian Tervuren Club, "The breed is known for its loyalty and protectiveness. Their appearance projects alertness and elegance. Those who own them are completely charmed by their intelligence, trainability, and, perhaps most of all, their sense of humor. They are suited to many kinds of activities. In American Kennel Club sponsored events they display their beauty, obedience, agility, tracking, and herding abilities. In other venues, they save lives in search and rescue, guard and protect in the police and military, compete in flyball, pull sleds and carts, comfort in therapy and service, and entertain on TV and in films.